You can tell when Laura Morera really cares about something (or someone) because her speech, normally soft and thoughtful, gains a certain urgency. Her favourite choreographers: “Ashton, MacMillan, Scarlett.” No hesitation. There is palpable passion in Laura Morera. Not a loud, histrionic, tempestuous sort of passion; rather an un-showy, slow-burning, internalised passion that brings an intense charge to all her dramatic roles. Laura Morera joined the Royal Ballet in 1995 straight out of the Royal Ballet School, and has been with the company ever since. Her talent earned her an invitation to apply for the Royal Ballet School aged 11; and she has lived the best part of her life in the UK, as witnessed by her barely-accented spoken English. And a part of it she became, her rare and exquisite musicality, intelligence, versatility and unstinting professionalism making her an asset for the company. For a while her progress was smooth: promoted to First Artist three years after joining the company, Soloist the year after, and First Soloist in 2002. And then her career stalled. The brief Ross Stretton directorship of the Royal Ballet (2001-2002) was traumatic for the company as a whole and for Laura, too, even though she felt he appreciated her talent. His successor, Monica Mason, did eventually promote her to Principal in 2007. The seed of doubt, though, had been sown. The frustration and uncertainly, the sense that the powers that be at the company felt the way she looked was a hindrance, led to a catastrophic loss of self-worth. “I made myself quite ill from feeling so sad and frustrated and miserable, and I went to a healing retreat in Thailand. I went there for 10 days, then I came back, and then went there for 10 days again. They helped me give myself back [self] worth. 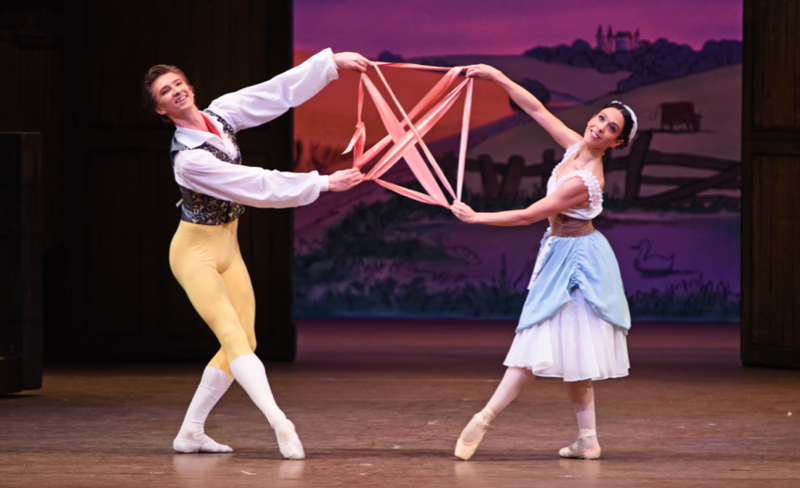 Her interpretation of the sassy Lise in Ashton’s La Fille Mal Gardée earned her Outstanding Female Performance (Classical) in the 2015 Critics’ Circle National Dance Awards. Some roles never came her way, though: she regrets not having been given Juliet; and still hopes against all hope to be cast as Natalia Petrovna in Ashton’s A Month In The Country, a complex, passionate role in which I strongly feel she would excel. 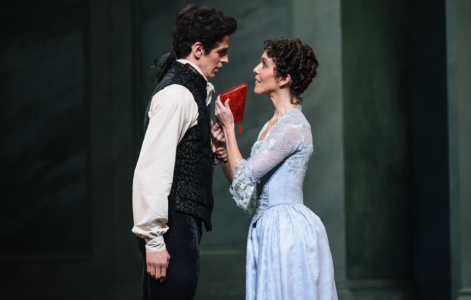 On the plus side, Laura Morera became first choice interpreter for the choreographer Liam Scarlett, Royal Ballet Artist in Residence, creating roles for him in, for example, Sweet Violets, and Hansel and Gretel and the central female character in The Age of Anxiety. She talks of Scarlett with fierce admiration. “We [dancers] definitely have input [in his work] and I love that about Liam, his trust; and you just keep growing in those roles (…) Age of Anxiety was such a difficult piece for him because [WH Auden’s poem] is not a perfect piece of literature (…). 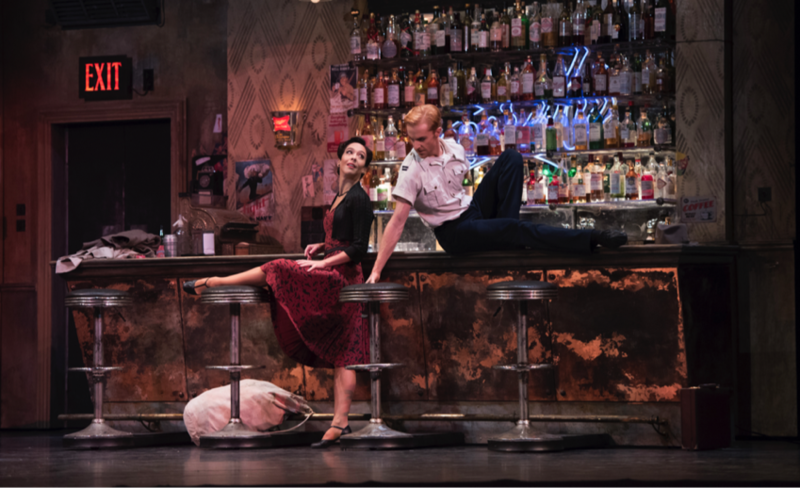 Laura Morera’s next project is a little left-field and she’s excited about it: she’ll be the dancing Anna, alongside the irrepressible cabaret artist Meow Meow as the singing Anna, in a revival of Kenneth MacMillan’s long forgotten Seven Deadly Sins, the choreographer’s take on the Brecht/Weill ballet chanté (ballet with songs). Laura Morera appears to inspire younger colleagues in the company: the young Principal Matthew Ball recently quoted her by name in an interview with The Times. Another young colleague, William Bracewell, told Ballet Position one of the attractions of joining the Royal Ballet was the opportunity to share the stage with dancers he deeply admired, like Laura Morera.